I am beaten to death by derby girls for the "Life Is Crime" photohunt. Cross-posted to the Weber Shandwick Seattle blog. I may not have been there at the beginning, but I’m pretty close: my first PAX was in 2006 at the Meydenbauer Center in Bellevue, where a few thousand people lined up to play console and PC games, attend a handful of panels, sample Bawls energy drink, and get their CDs signed by nerdcore rapper MC Frontalot. The sense of goodwill and community was like nothing I’d seen before. At one point nearly everyone at the show was crammed uncomfortably together in the center’s main space, waiting to get into an event. Instead of complaining, the PAX crowd found a way to turn the crowded conditions into an opportunity for mass play by seeing how high we could bounce an inflatable blue ball. 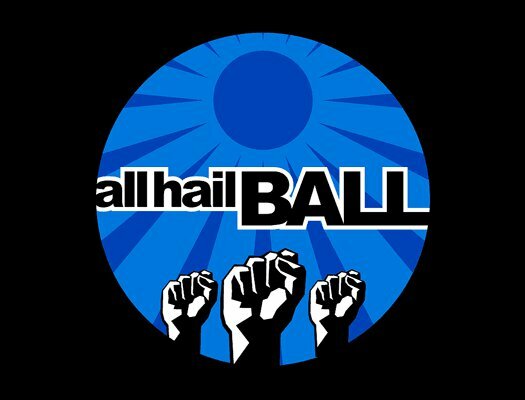 I’ll never forget seeing it rise almost to the top of the atrium while the crowd chanted, “All hail Ball!” Penny Arcade even made a t-shirt to commemorate the moment. Five years later, PAX Prime — so called to distinguish the Seattle event from the second PAX they’re now running in Boston — draws more than 60,000 people, sells out months in advance, and is gradually taking over every available event space in downtown Seattle. It’s harder to get in to the events and panels you want to attend. The exhibit floor is packed with people, and the small booths have been replaced by displays that rival those at CES for size and effect. And yet, amazingly, it still feels like PAX: a happy celebration of all things gaming. This year’s PAX was dominated by a company that few attendees even knew was there. Seattle’s Lone Shark Games organized and ran the tabletop game track at PAXDev, demos at the Bethesda and Bioware booths, an event at the NCSoft booth, a puzzlehunt for Magic:The Gathering and a photohunt for Life Is Crime. Lone Shark also worked the GameSpot booth, and built the set for the annual celebrity “Acquisitions Inc.” Dungeons & Dragons game which filled the Paramount Theater to capacity. I spent a lot of time this year at industry panels, including one on audience segmentation featuring Bethesda Softworks vice president of marketing and PR Pete Hines. Although Hines summarized his approach to segmentation as, “People who like games are people who like games,” the difference between the PAX audience of core gamers and a broader audience was clear when he talked about one of Bethesda’s most successful game trailers. The ad, which aired on ESPN, showed basketball player Blake Griffin lobbying Bethesda to be added to the video game Rage. A show of hands revealed that no one in the room knew who Blake Griffin was. The panel also made it clear that PAX is a special occasion for marketers, too. Bethesda’s classic Fallout 3 promotion, which arguably set the bar for all future PAX marketing efforts, was designed with this community’s sensibilities in mind. Everything about it, from half-destroyed 1950s Airstream trailer to the Vault Boy hand puppets, was imbued with a sense of creative freedom and a particular kind of dark humor. Recently another long-time PAX attendee and I were trying to figure out how to describe PAX to an audience that was unfamiliar with the event. We decided that it was largely an impossible task: I could tell you the history of PAX, and some of the things that happen there, but I can’t tell you what it’s really like. You just have to experience it. 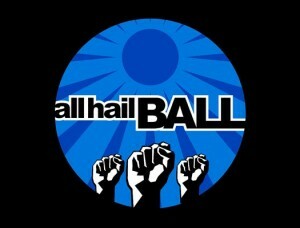 So if you haven’t been, I encourage you to start keeping an eye on www.paxsite.com early in 2012, and get your passes for next year. I hope to see you there.